The funny thing about testing in school is that all it truly does is show the understanding an individual has on a certain subject at a given time. Their understanding can change drastically in following months, yet the test score is typically all that matters. We then go on to judge people by their grades under the illusion that it illustrates their knowledge and qualifications on a certain subject. The sad part is not only how limiting this idea is but how much students stress over such results and judgments. Some can even go as far as feeling their lives are ruined simply because their grades are bad. We can become disheartened and frustrated with ourselves, think we are not smart or intelligent, and even veer away from what we are passionate about simply because of a test score. What if we all learn differently? What if testing doesn’t really show our understanding of a subject or what if there were better ways of truly evaluating and teaching individuals? Thankfully these types of questions are being asked in a big way these days, as re-evaluating our education system is a hot topic and for good reason – it isn’t effective. 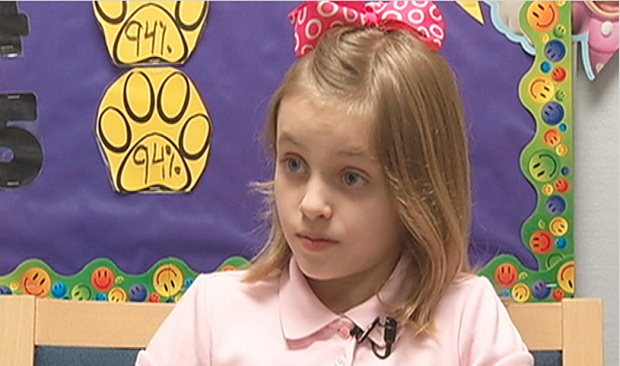 Sydney Smoot, a 4th grader, has taken a bold stand against Common Core and her words got the attention of many adults. The young student from Brooksville Elementary in Florida shared her powerful words about the dangerous impact that state standardized testing is having on students.